The Circle of Forever Friends is made up of animal lovers who have made a planned gift to First Coast No More Homeless Pets. Such a gift ensures that FCNMHP will continue to help dogs and cats — and their families and protectors — long into the future. There are many ways to leave a legacy of your love. 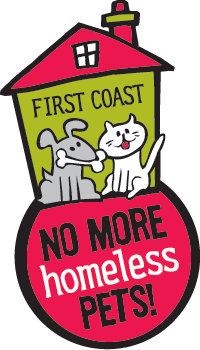 After you have made a planned gift naming First Coast No More Homeless Pets as a beneficiary, we hope you will let us know so that we can include you as a member of our Circle of Forever Friends. Please call Barbara Barrett at 904.520.7901 or email bbarrett@fcnmhp.org. Your love of animals shines through your daily life. By becoming a member of the Circle of Forever Friends, you are leaving a legacy of that love and ensuring that your estate plans reflect your values and who you are. By making a gift each month, you can join our First Coast Family. First Coast Family members are animal lovers who help to sustain our life-saving work. Because we can count on your support, the dogs and cats can count on our support. Start your monthly gift today by donating here and choosing to repeat your gift automatically or by calling (904) 520.7900.